Back in 2006 (remember that? seems an age ago) the bishops of England and Wales moved the celebration of the feasts of the Epiphany, Ascension, and Corpus Christi to Sunday. That leaves only SS Peter and Paul, the Assumption, All Saints, and Christmas Day, as non-Sunday Holy Days of Obligation in England and Wales. Corpus Christi and the Ascension traditionally fall on Thursdays: Corpus Christi because it recalls Maundy Thursday, and the Ascension because it is 40 days after Easter Sunday (take note, Mgr Basil Loftus, it didn't happen on the same day). All the other days are on fixed dates, and can fall on any day of the week. Under the rules in England and Wales, if they fall on Saturday or Monday they are, again, moved to Sunday, with the sole exception of Christmas. This means that in some years Days of Precept all but disappear. the feast of All Saints (1st November) fell on a Sunday. The only day one needed to go to church apart from Sundays was Christmas Day. In 2014 SS Peter & Paul (29th June) will fall on a Sunday and All Saints on a Saturday, leaving only the Assumption alongside Christmas as Days of Obligation. 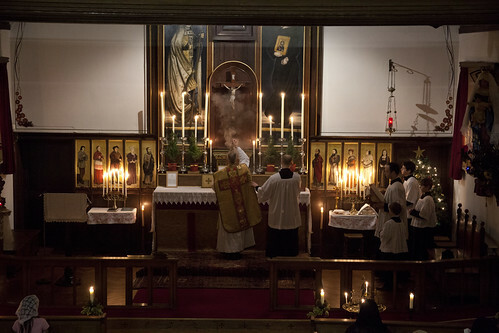 The result is that the very concept of a Holy Day of Obligation, a 'Day of Precept', other than Sunday, has become as unfamiliar to many Catholics as days on which you can gain a plenary indulgence. It is fair to say that this decision by the bishops has been the most unpopular that I can remember. It has been pointed out that the Days of Precept in the week were a unique opportunity for the celebration of the mysteries they mark in Catholic schools, where many of the pupils of course do not attend Mass on Sundays, even if nominally Catholic. 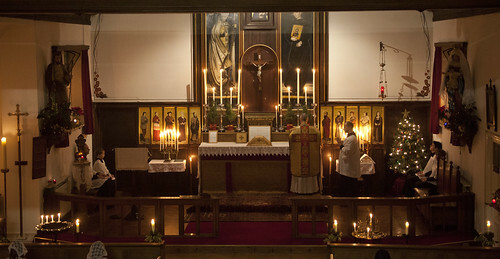 Again, the moving of these feasts from their traditional days not only tears away the historical Catholic associations of the date, but in many instances takes us out of line with many non-Catholic churches (notably Lutherans and Anglicans), in some cases with the Orthodox (whose celebration of Epiphany eclipses Christmas itself), and even with popular culture. In 2010 the Church in England and Wales did not celebrate All Saints the day after Halloween. Because it was a Monday. The mind boggles. The exception of course is with Masses celebrated according to the Extraordinary Form. Although the matter needed some clarification from the Roman authorities, what the Bishops' action has done is to remove the obligation to attend Mass on these days 'moved to Sunday' for whatever reason. So you can still go to Mass of the Epiphany on the 6th January, for example, if you find a church celebrating the Traditional Mass. I hope all readers of this blog will say a quick prayer for wisdom on the bishops' part when they discuss this again after Easter this year. Even with the EF the bishops impose their will by insisting that the transferred feast is celebrated on a Sunday in the EF as well as the OF. This is a source of great resentment amongst the traditional community, paticularly when other feasts (such as The Holy Name) are displaced as a result. I also made reference to this in the LMS Wrexham Blog just before Epiphany. Interestingly, when the Welsh Provincial Ordo was published at the end of last year, it contained an inaccurate instruction suggesting that in both forms, the designated feasts were transferred period. After an exchange of e-mails, the author conceded the entry was incorrect - to late for this year as the Yearbooks had already gone to print, but a promise of a correction for next year. 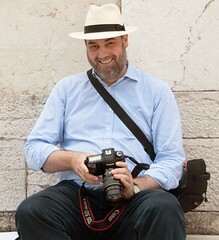 I suspect that you give reference to External Solemnities in your next post on the series? But it is unpopular and I hope and pray that the Bishops of E&W do reverse things! I suspect the objective, i.e. to make it easier for Catholics to fulfill their obligation, hasn't been achieved. That leads me to the other related subject of Saturday Evening Vigils in the OF. Again, if they didn't exist I wonder would Sunday Mass numbers would swell? Well it is a fact that the bishops do not have the authority to insist that anyone celebrate these feasts as external solemnities on the Sunday. The priests must make the judgement about whether it is pastorally expedient. So we are assured. Their discussion last time was inconclusive for various reasons.